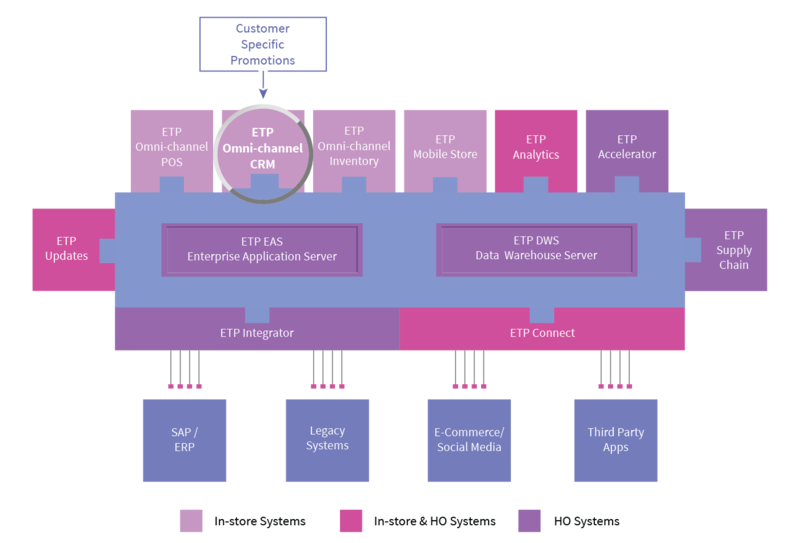 Customer buying history accumulated in the omni-channel retail CRM can serve as input to the ETP Omni-channel Promotion Planning tool, enabling you to easily define business rules and roll out promotions specific to customer segments, making their relationship with you a personalized experience. These promotions can be executed based on various parameters like customer demographics, age, gender, birth dates and many more. Promotions also can be defined for a specific range of merchandise or for a specific time frame or for a specific channel or store. This will give the retail marketing team the flexibility to run a wide range of campaigns to grow business with loyal customers and to increase same store sales. It is important to be able to run a large volume of business and yet be able to make your customers feel special every time they interact with you.